See the largest selection of Electric Bikes under one roof! We love eBikes! These bikes are changing the game, getting people riding more, and transforming bikes into more robust & viable forms of transportation. 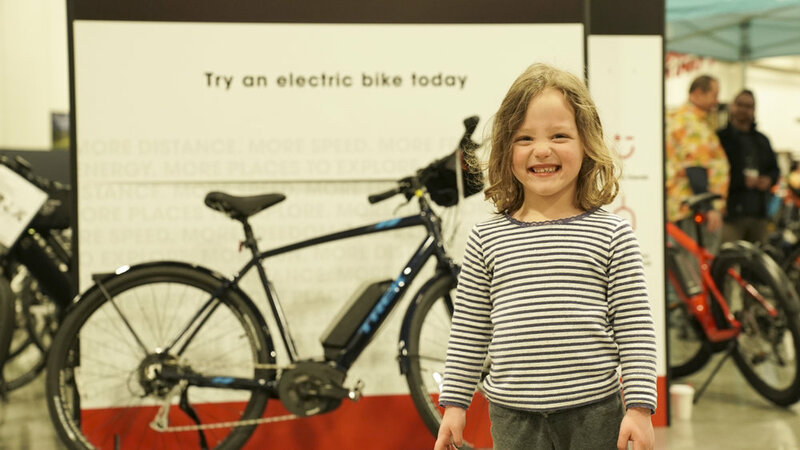 At Expo, you can touch, feel , ride and buy over 200 eBikes on sale! Electric Bike Test Ride Course! Only at Bike Expo Sale, test out over 30 of the best electric bikes on the market today. Try one before you buy one and see why electric bikes get you riding more! Must be 16 or older to test ride. Young adults under 18 years old must have a waiver signed by a parent/legal guardian. The technology has never been better. They look, ride and feel like the bikes you are used to! 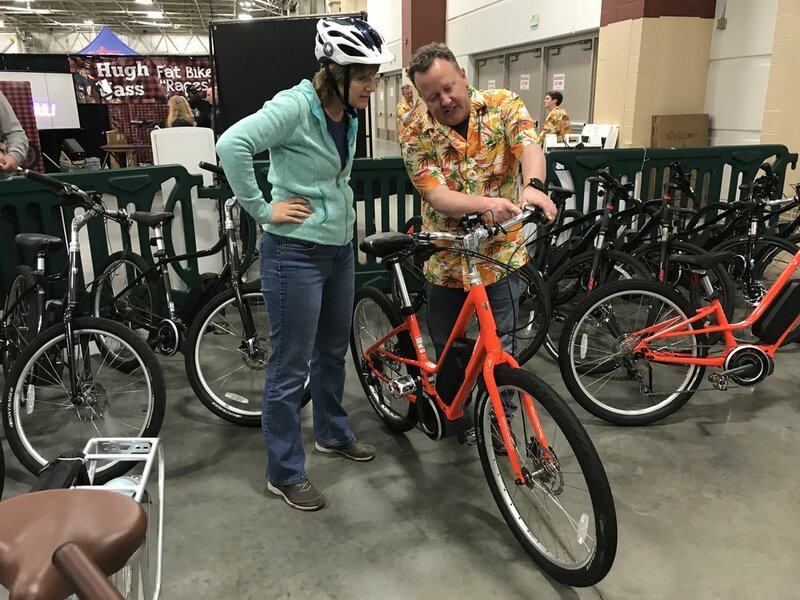 Most of the electric bikes we sell are known as "pedal assist" bikes- meaning that the extra umph of ease your receive only comes from your pedaling. You set the amount of assist you are looking for right on your handlebars. You decide what your bike ride looks like that day, you call how hard/easy you want to work.